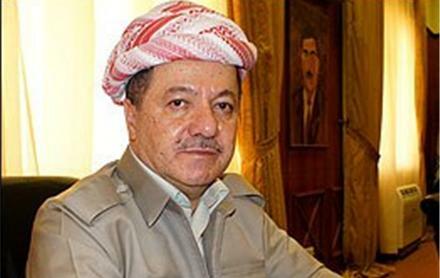 Salahadin, Kurdistan Region of Iraq, (Krp.org)- President Masoud Barzani, through a video statement to the people of the Kurdistan Region expressed his condolences on the passing of President Jalal Talabani. President Talabani passed away earlier today in Germany. President Barzani described Mam Jalal as a lifetime comrade with whom they fought in pursuit of the rights of the people of Kurdistan. The President also stated that he takes pride in the fact he shared such a long history of struggle with President Talabani. He concluded by reiterating his condolences to the people of Kurdistan, the family of Mam Jalal and the members of the leadership of the Patriotic Union of Kurdistan.